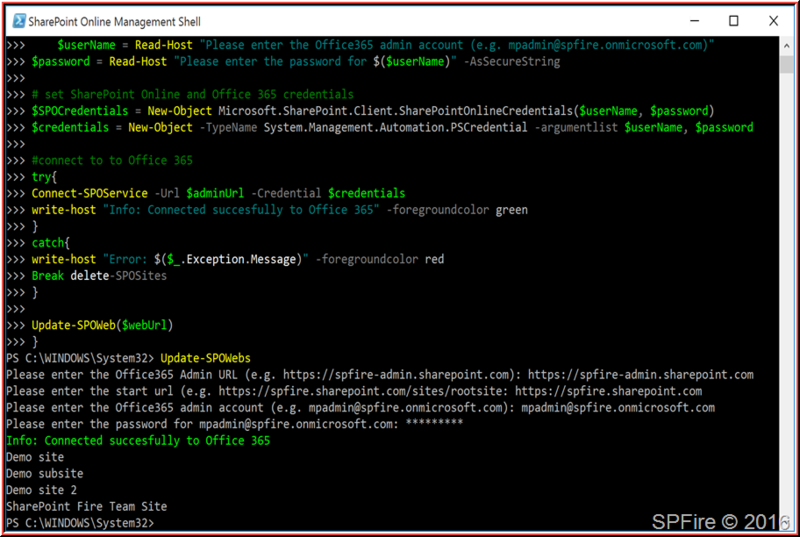 This PowerShell script will let you loop through each SharePoint Online site to perform a specific action. 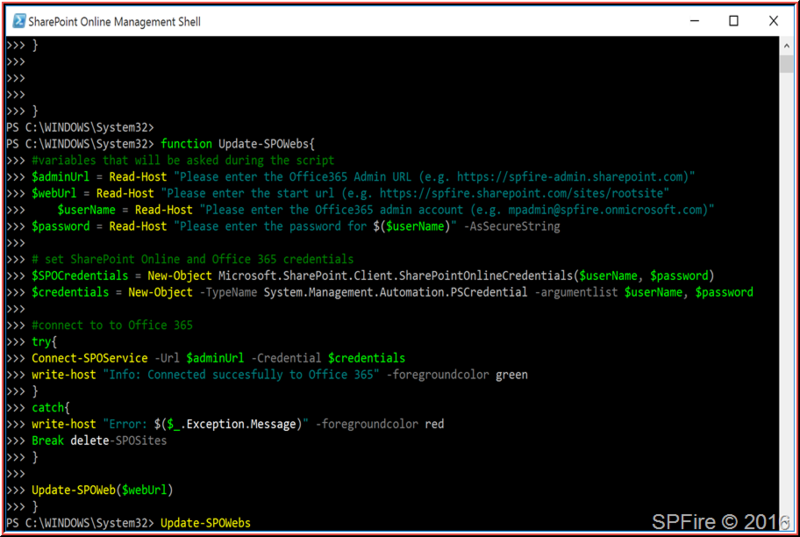 I’ve been asked a couple of times to write a script to for example create a new document library in each site, add a web part or grant permissions. I always start with the below script so I only need to write the desired action and don’t need to worry about doing this for each site. Please let me know if you have used my script, for what purpose and if there are any questions. You will only need to add the action below the start and above the comment section and it will run for each site. Just copy and paste the full script. 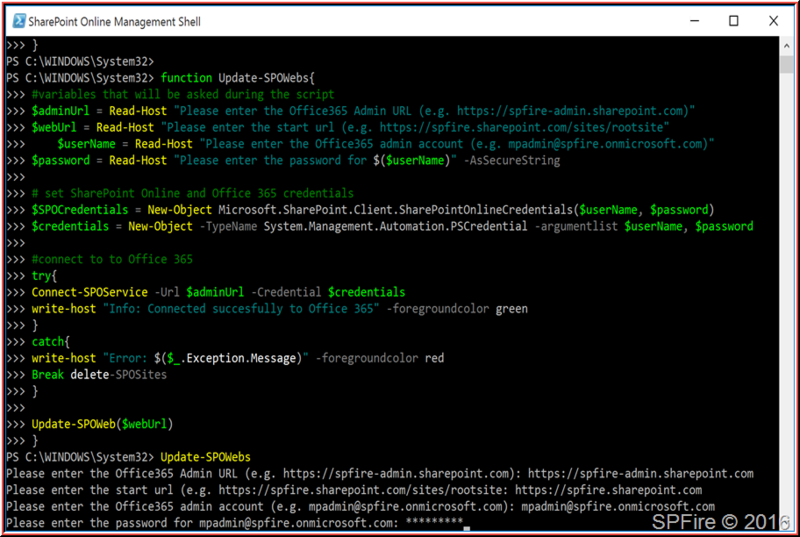 $adminUrl = Read-Host "Please enter the Office365 Admin URL (e.g. 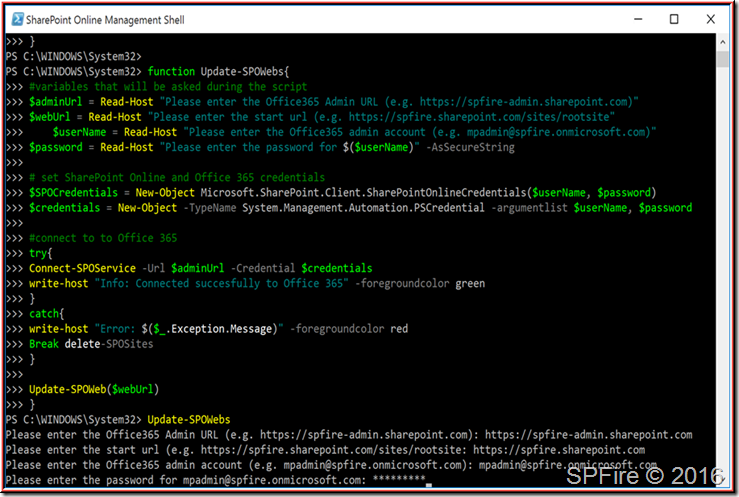 https://spfire-admin.sharepoint.com)"
$webUrl = Read-Host "Please enter the start url (e.g. 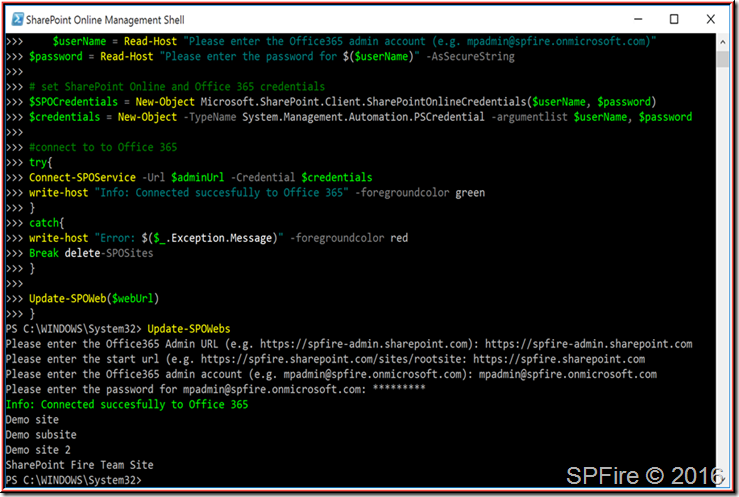 https://spfire.sharepoint.com/sites/rootsite"
$userName = Read-Host "Please enter the Office365 admin account (e.g. 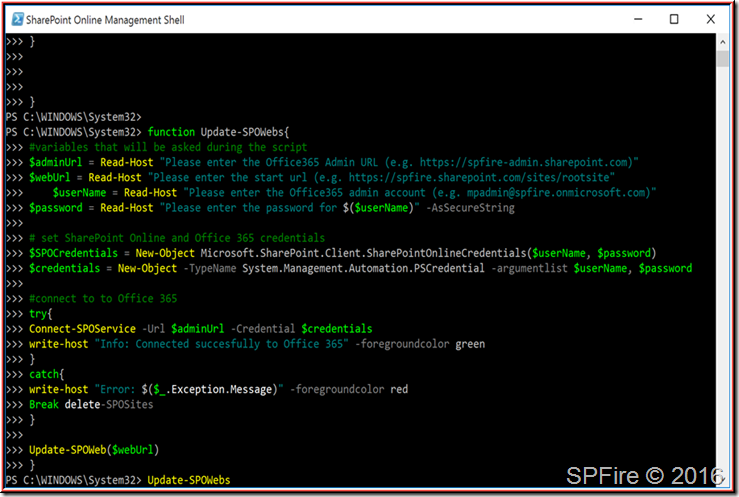 mpadmin@spfire.onmicrosoft.com)"
In this case it has only listed the names for each site but you do whatever you need.